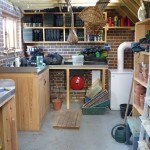 Harrier GD has undertaken many Garden Building Projects, from small greenhouse bases to major conversions of outbuildings. We provide the customer with the opportunity to employ one company to design and/or build projects for their gardens or home. We have a reputation for quality workmanship, attention to detail and personal service throughout all stages of the build. Virtually all of our work is through personal recommendation. 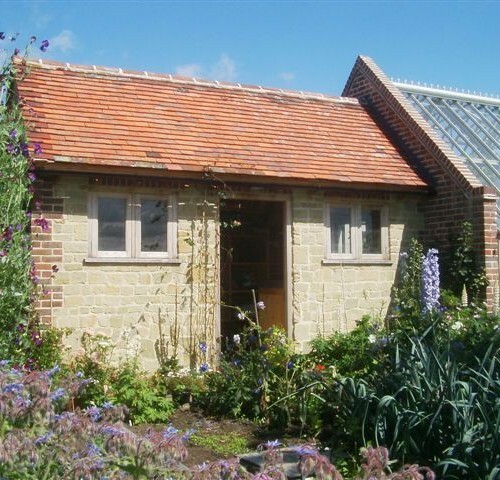 Harrier is best known for its work on potting sheds, glasshouse bases and Orangeries and have worked in some of the finest gardens in the country, including those belonging to the National Trust. 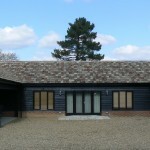 We have worked with signature architects, interior and landscape designers to deliver building of the highest standards. A variety of our work is illustrated on the following pages. However, all projects are unique, so contact us, from whatever stage of planning you are at, to discuss the way forward! Harrier GD has built many greenhouse bases from a variety of materials. We have the experience to advise customers on all of these associated aspects that are fundamental to the long term use of the glasshouse, and its enjoyment. Harrier GD has expertise in the gardening industry to advise and build customers a potting shed to suit the specific requirements of their garden. 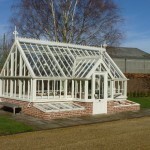 With a background in glasshouses and an extensive knowledge of heating, Harrier GD is well placed to advise and deliver all forms of Orangery, whether solely for the purpose of plant protection and growing, or as a light and open space exclusively for people. With experience from working with garden landscapes, Harrier GD are in a strong position to create unique buildings with many varied uses. We have reburbished and rebuilt outbuildings to accommodate their new applications! Harrier GD has experience in undertaking restoration work, that other companies may well be pretty daunted by! 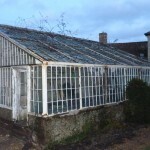 This listed lean to greenhouse has many similarities to, and may well be a Clarke & Hope Greenhouse (Birmingham) c.1850, which makes it an exciting and challenging project. We are a small and friendly team dedicated to attention to detail. Our aim is to provide a helpful personal service from start to finish. Most of our work is through personal recommendation, so contact us and we will advise you on the way forward with your project. Greenhouse Restoration project starts its rebuild on site. Harrier GD began this exciting and challenging restoration project of an early lean to greenhouse with discussions in January 2014. 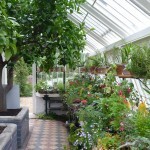 It has many similarities to, and may well be a Clarke & Hope Greenhouse (Birmingham) c.1850. The Mixer Tap proves great for dog washing today! Bella, Claire's beautiful Cavalier King Charles Spaniel decided to visit the very smelly pond in the garden today, which made her rather unwelcome in the Harrier GD office! Swift action was taken with the Mixer Tap in the yard and Bella was soon looking her best again!